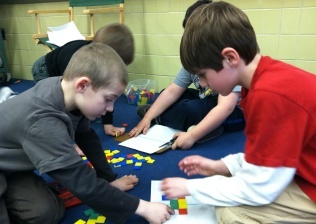 Mathematics education in Rhode Island is currently centered on the Common Core State Standards (CCSS) for Mathematics. These standards were developed by a state-led initiative that actively involved experts in the field of mathematics as well as state-level educational agencies, teachers, and parents. The CCSS provide clear, consistent expectations about the knowledge, skills, and practices students should know and be able to do at each grade level. Educators should use a local curriculum aligned to the standards to plan instruction and assessment. The RICAS assessment is used to measure Rhode Island students’ mathematics proficiency level. For information and resources related to RICAS, please go to the RICAS Assessments page on our website. New opportunities for professional learning as well as new resources will be highlighted here. Our tips will be focused on empowering families to support their students' Mathematics understanding (Pre-K to High School). Knowing the wealth of knowledge that is within our board membership, we wanted to offer an opportunity to submit a “tip” for inclusion within the field memo. If you would like to submit a Mathematics tip please use this link. SUM (Steps to Understanding Mathematics), a professional learning series, is a program created in partnership between RIDE and the Rhode Island Mathematics Teachers Association (RIMTA). The intention of this course is to increase an educator’s ability to identify student gaps in the understanding of number, operations, and computation on whole numbers and decimals and support instruction in those areas. SUM training will help educators identify needs, select learning activities and use recording tools when ready to implement. RIDE and RIMTA are offering a SUM session in partnership with the Portsmouth School District for more information click here. Use this link to access course content. For questions or additional information, please contact Christopher Castillero at christopher.castillero@ride.ri.gov.